We can send our skilled technicians out to your home or place of business 24 hours a day. Our highly trained staff can recommend a system that meets all of your needs. You need a professional with years of experience to choose the size and capacity of the system, so that you do not spend more than you need to on energy bills. There’s more…. 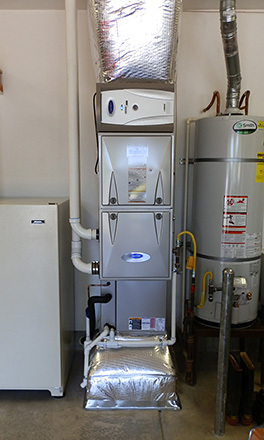 we specialize in energy-saving options and green systems that are good for the environment and can pay for themselves. We have the most current information from manufacturers and utility companies about incentives and rebate programs for energy-saving systems. Saving money on energy bills all boils down to efficiency. Energy efficient systems reduce your monthly expenditures. The efficiency has a lot to do with the quality of the system, but it also relies heavily on the quality of installation and the design of the system. Our expert technicians are the best of the best. We only select 3 percent of the applicants as employees, based on their level of knowledge and experience. We make sure their knowledge and skills are up to date, with our ongoing training programs. We are so confident about the quality of our people, and the systems we recommend, that we offer a 100% money back guarantee. Call Priority One today to discuss your needs. We are available around the clock, and can send a technician out to your home or place of business anytime, day or night, weekends or holidays. In addition to expert installation of residential and commercial heating and cooling systems; we also offer repair and maintenance services. Well maintained systems last longer and have a positive impact on your air quality. If you need emergency repairs, we respond quickly and can get your system up and running as soon as possible. Rely on the experts at Priority One for all your heating and air conditioning needs in Lane County. Our goal is to please our customers and we know you’ll be delighted with the solutions we offer.